According to legend, when Rākaihautū first explored the Southern Alps he left his canoe, Uruao, at Whakatū (Nelson) and walked south. 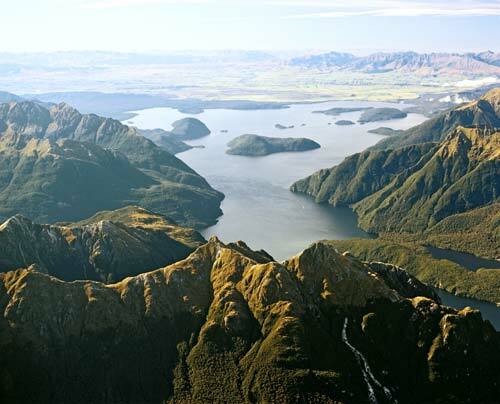 The first of the lakes he dug out were those of the Nelson Lakes National Park, Rotoiti and Rotoroa. Far to the south of where Rākaihautū began his labour of excavating the great southern lakes, he ended his task at Lake Te Ānau and Lake Manapōuri (pictured).